Foreign ministers from France and Germany presented the radical proposals to do away with individual member states’ armies, criminal law systems and central banks, it has been reported. The blueprint suggests the 27 states in the bloc would also lose what is left of their paltry powers to control their own borders, including the procedure for admitting and relocation refugees, according to reports by Polish media. Instead all powers would be transferred to Brussels under the controversial plans. In a foreword to the nine-page report seen by the Daily Express, German Foreign Minister Frank-Walter Steinmeier and his French counterpart Jean-Marc Ayrault said: “Our countries share a common destiny and a common set of values… that give rise to an even closer union between our citizens. The plans have been branded an “ultimatum” designed to create a European “superstate dominated by large nations” by Polish state broadcaster TVP. Poland’s foreign minister Witold Waszczykowski said: “This is not a good solution, of course, because from the time the EU was invented a lot has changed. Poland had always been an ally of the UK’s when it came to fighting creeping federalism in the EU. The spectre of an EU army was raised by Brexiteers as a reason to quit the EU. In the wake of a vote for Brexit, EU chiefs have been more brazen about their desire to form and EU army. In a document titled ‘EU Global Strategy on Foreign and Security Policy’, Europe’s chief diplomat said the Brussels bloc must be able to “repel, to respond and to protect”. While the paper stops short of explicitly calling for an EU army, it does suggest its members should work more closely on defence matters. 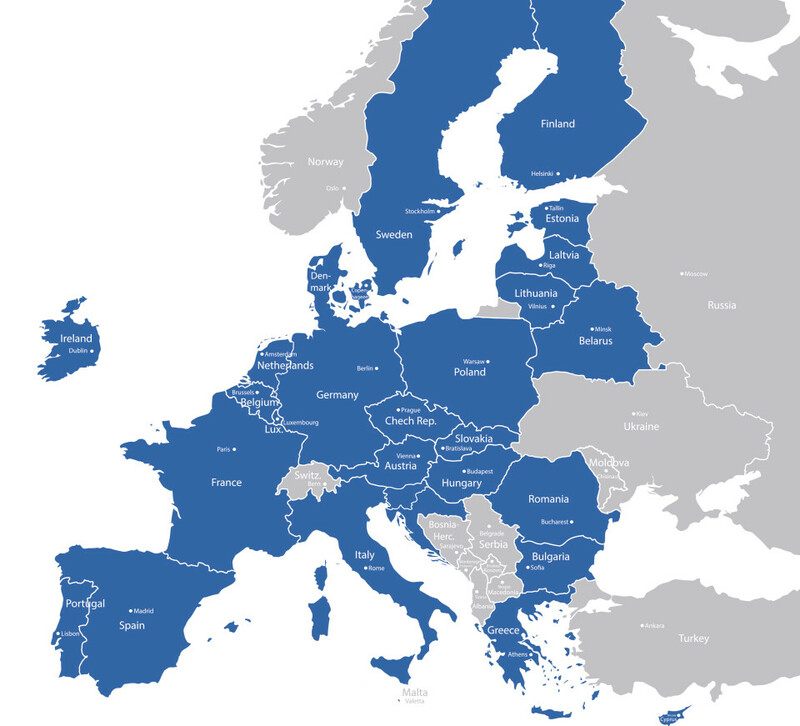 The paper states: “We, as Europeans, need to take on a greater responsibility for our own security. 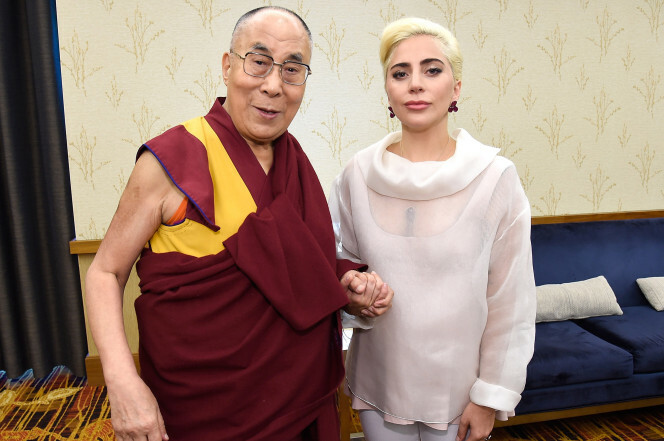 China warned people to be aware of what it said are nefarious motives of the Dalai Lama after he met with Lady Gaga on a trip to the U.S. and spoke about love and compassion. “The purpose of his visits and activities in other countries is just to promote his proposal for Tibetan independence,” Foreign Ministry spokesman Hong Lei said Monday. Beijing regularly vilifies the Tibetans’ spiritual leader as a political figure who advocates splitting the Himalayan region of Tibet from the rest of China. The Dalai Lama says he simply wants a higher degree of autonomy under Chinese rule. On Sunday, before speaking at a conference in Indianapolis of American mayors, he met Lady Gaga. The Dalai Lama also met with President Barack Obama two weeks ago, drawing condemnation from China. Gary J. Byrne has devoted his life to serving his country, and risked it to do the same — as a member of the US Air Force, a uniformed White House Secret Service officer, and a federal air marshal. And he believes it is his patriotic duty to do anything he can to prevent Hillary Clinton from becoming president of the United States. 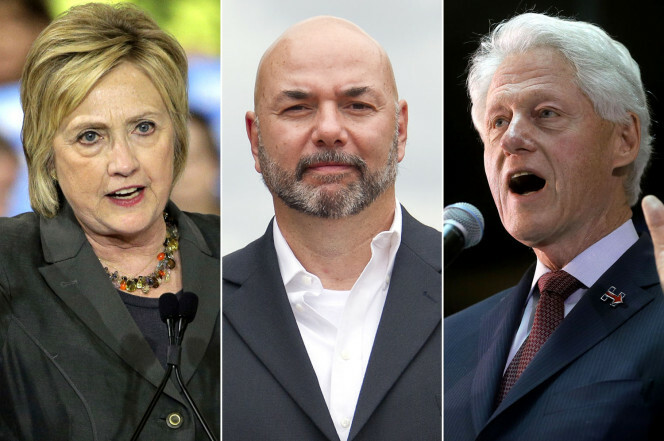 He says he has also seen Hillary’s “dangerous,” abusive, paranoid behavior.“It’s like hitting yourself with a hammer every day,” Byrne, pounding a fist into his open hand, says of the former first lady’s explosive anger. ‘America first’ is in my blood,” he writes, sounding very similar to another presidential hopeful. TriggerByrne says he wants Americans to “vote [their] conscience,” but pledges to make sure “they have all the information that they need. ”For one, he thinks the Clintons’ own behavior bred an immoral White House culture. Byrne revealed to The Post during the interview that Clinton staffers used cocaine on the job. He also exposes the “jogging list” for the first time. “In the beginning of his first administration, when President Clinton was jogging outside, women who were dressed as if they were going clubbing or working out, started showing up at the southeast gate,” Byrne explains. “The agents . . . would get the women’s names, and run them to see who they were. If the women wouldn’t cooperate, they would be ushered out of the jogging group. “Agents … insinuated that this list was used by President Clinton to try to meet these women,” Byrne says. The book details how the president had as many as three mistresses during the same time period, including former Vice President Walter Mondale’s daughter, Eleanor, whom Byrne once discovered “making out on the Map Room table” with Bill Clinton. What bothered Byrne more than the infidelity was the way Bill Clinton programmed the entire White House to accommodate his cheating ways. Hillary, meanwhile, was a human minefield. The Secret Service was convinced Hillary posed a physical threat to her husband, and even gave him a black eye, Byrne writes. She also cursed out her security detail, and she and Bill would often try to evade the Secret Service, making it difficult to protect them and putting agents at greater risk, Byrne says. But what sticks most in Byrne’s mind is the personal destruction the Clintons wrought in his own life — the fear and turmoil he had to endure as authorities subpoenaed and harassed him as they investigated the Monica Lewinsky scandal. It all could have been avoided, Byrne maintains, if Bill Clinton had simply told the truth. He says a number of people could vouch for his access, including George Stephanopoulos, the former Bill Clinton communications director; John Podesta, Hillary’s campaign chairman, who worked in the Clinton White House; and Jennifer Palmieri, Hillary Clinton’s current campaign communications director, who worked near Byrne in the White House. “[I]f my testimony wasn’t true, I would end up doing seven years,” he says. To prove he’s being truthful, he says, he’s willing to undergo a polygraph test — if Hillary takes one too. Byrne says he is not committed to Donald Trump, despite sharing his slogans. But, he says, he will never vote for a Clinton. to the head, ruled a suicide. later the air Traffic controller committed suicide. Clinton as a “dear friend and trusted adviser”. files were mysteriously removed from his house. found dead in May 1994, in her living room with a gunshot to her head. possible corroborating witness for Paula Jones. related to the Barry Seal, Mena, Arkansas, airport drug smuggling case. He died of three gunshot wounds. head, ruled a suicide. Was pregnant at the time of her death. President Barack Obama announced his decision to designate the site of the Stonewall Uprising for gay rights in New York City as a national monument. The Stonewall Inn was a gay bar that was raided by the New York City police department to enforce a law making it illegal to sell alcoholic drinks to homosexuals. Gay Americans rioted in response, organizing activists and rallies across the country in support of gay rights in America. In a YouTube video, Obama recalled the 1969 riots, praising the gay rights activists that reacted to the Stonewall arrests. In the wake of the deadly Orlando terrorist attack, radio icon Howard Stern spent part of his Wednesday program berating those calling for gun control as the way to prevent further carnage in the future. Howard Stern in New York March 24. Stern then illustrated his point with an analogy equating the public to sheep, the terrorists to wolves and the military and police as sheepdogs. And even as Stern humorously imitated a generally passive, sheep-like populace with bleating noises — baaaa — his analogy was chilling at a deeper level. Critics are blasting a YouTube star from Staten Island who created a video posted a day after the Orlando massacre that he claimed was meant to gauge people’s reactions to an “Islamic” terrorist compared to a “Christian” one. The video by Joseph Saladino, known by fans as Joey Salads, shows a man in traditional Arab garb yelling “Allahu akbar!” – meaning “God is great!” – as he throws a silver case at people’s feet. “This isn’t a social experiment, this is stupidity in its purest form,” YouTube user Kurt Arevalo posted. The video’s “likes” and “dislikes” function was eventually turned off the offending video — which has been viewed more than 670,000 times — after the backlash about the stereotypical depiction. “You’re doing this at a time where people are still mourning. It hasn’t even (been) a week, but let me get these views up and make some money,” PharmD2be1 wrote. Salads, whose real name is Joseph Saladino, 22, according to SILive.com, defended the video.“Seems people are disliking before understanding the concept of this video. This video shouldn’t offend anyone, it simply opens up a dialogue to a tragedy. This video will raise questions to why certain things happen, watch the WHOLE video to understand,” he claimed. He gave a mea culpa on Facebook. “I apologize if it was too soon cause of the Orlando Shooting, but I had this video filmed for months and I figured now is a relevant time for this topic of discussion,” he wrote. “It was not an attack on Islam, I was comparing how people react to Islam Extremists vs Christian Extremists. Key word EXTREMISTS, not ALL,” he added. PARIS (AP) — Some 20 police officers and 6 protesters were injured in Paris Tuesday as demonstrators protesting a contested French labor reform threw projectiles at police officers, who responded with tear gas. Seven unions and student organizations planned the protests against the proposed law to loosen labor rules which saw crowds in central Paris swell into the tens of thousands. Paris police official Johanna Primevert said that in addition to the 26 injured, some 21 people were detained during the day’s action against the law that is being debated in the Senate. Just 2 days after the Orlando mass shootings. Streaming the torture of the wife in front of their 3 year old child live on Facebook. What say we ban knifes and Facebook ! OH BTW, HE WAS THEIR NEIGHBOR ! THERE KORAN BELIEVING MUHAMMAD WORSHIPING MUSLIM NEIGHBOR !! Omar Mateen was the Islamist that killed the faggots. Authorities have identified the shooter as Omar Mateen, a US citizen from Port St. Lucie, Florida. In February The Washington Post produced this excellent analysis of mass shootings in the US. The result is a compelling look at the victims and killers. The oldest victim was 98, the youngest was three-months old. CNN are describing the Orlando shooting as one of the worst in US history. The police will update us on the situation at 9.30am local time, 2.30pm in the UK.